The frequency of forest fires, all other factors being held constant, should vary with the level of atmospheric oxygen because fire is sensitive to oxygen concentration. The quantitative effect of varying O2 on fire ignition and spread has been studied extensively in the laboratory (e.g., Tewarson, 2000; Babrauskas, 2002), but only on commercial materials. Little attention has been paid to the effects of varying O2 on the burning of forest fuels. One such study examined the ignition of paper strips at varying O2 levels and moisture contents (Watson, 1978). On the basis of Watson's results, it was concluded that forests would burn excessively at concentrations of 25% O2 or higher even when saturated with moisture (Watson et al., 1978). Because plant fossils indicate that forests have persisted over the past 375 million years, Watson et al. (1978) concluded that O2 levels have never exceeded 25% over this time. The conclusions of the widely cited Watson et al. (1978) paper (e.g., see Lenton, 2001) have been criticized by Robinson (1989). Robinson notes that (1) paper is thermally thin and not representative of naturally thick plant material. This thinness maximizes exposure to oxygen. (2) Charring was not considered. Paper is very low in lignin and does not char as readily as natural lignin-rich plant materials (table 6.2). 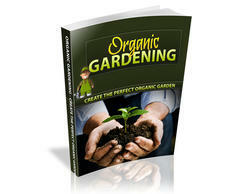 Charring acts as a protective shield to protect plants against further burning (Nelson, 2001). (3) Moisture contents far less than found in natural vegetation were studied. (4) Translation of O2 results to fuel moisture equivalents and an index of probability of ignition was done using a table that has since been replaced by the U.S. Forest Service because it proved unreliable (Deeming et al., 1977). Table 6.2. Charring propensity for natural fuels. Data from Berner et al. (2003). aFire adapted. ever since the Devonian (Cope and Chaloner, 1980; Chaloner, 1989), this indicates that O2 has not dropped below this value (Chaloner, 1989, suggests a lower limit of 13%). Although discernment of this lower level needs further investigation, it is in approximate agreement with recent burning experiments (Wildman et al., 2004). Table 6.3. Results of burning experiments with pine wood dowels and pine needles. "Yes" means that the fire spread completely over a 75-cm long track. "No" means that the initial fire went out within a few centimeters of the starting point. Moisture is for a dry weight basis. A dash means no experiment. (After Wildman et al., 2004). 4 cm was used over the same path and a fire with dry dowels or dry needles was started at one end. The spreading of the fire down the path was tracked with thermocouples and the spreading rate thereby obtained. Results show that at low moisture levels (0-2% water) the wooden dowels all burned readily between 12% and 35% O2, whereas at 61% water (by dry weight) the dowels did not burn at any O2 level up to and including 35% O2 (table 6.3). The pine needles with low (0-2%) moisture burned between 16% and 35% O2, but at 61% water and 35% O2 they did not burn and presumably would not burn at lower O2 levels at this moisture level. On the basis of fire spreading rate, Wildman et al. (2004) concluded that the sensitivity to changes in moisture is much larger than the sensitivity to changes in oxygen level. The lack of burning at 35% O2, for both pine wood and pine needles containing 61% H2O, refutes the idea that forest materials will burn above 25% O2 regardless of moisture content (Watson et al., 1978). (The water content of live tree trunks normally exceeds 100% by dry weight and saturated pine needles contain 190% water.) Starting the fire with dry wood or needles crudely simulates a brush fire that spreads to moister fuels, so these experiments with natural materials are more realistic than igniting paper strips. Based on the burning experiments of Wildman et al. (2004), it is quite possible that oxygen levels of the Permo-Carboniferous exceeded 30% without the destruction of all terrestrial life. The results of the burning experiments of Watson (1978) and Wildman et al. (2004) both point to increased burning at higher O2 levels, suggesting increased fire frequency during the Permo-Carboniferous high-O2 period and natural selection in favor of fire-resistant plants at that time. The slow rise of O2 through the Devonian and Carboniferous predicted by modeling (Berner and Canfield, 1989; Berner, 2001) would allow enough time for the evolution of widespread fire defenses. The common occurrence of thick, barklike corky layers on the outside of Carboniferous plants, such as lycopsids and Calamites (Jeffry, 1925, cited in Komrek, 1972) were probably developed as a defense against fire. Also, besides bark structure and composition, the spatial organization, energy partitioning, and reproductive strategies of Carboniferous ecosystems appear to be consistent with those of forests subject to severe fire regimes (Robinson 1989, 1991). Furthermore, present-day species that are probable relics of Carboniferous plants are associated with areas of frequent forest fires (Komrek, 1972). Late Carboniferous coal beds probably arose from raised megathermal peat bogs analogous to the present-day swamps of Indonesia and Malaysia (Robinson, 1989). However, the Carboniferous coals are unusually rich in fusain, fossil charcoal, compared to their relatively charcoal-free modern analogues. As charcoal is a product of fires, this suggests a greater swamp fire frequency during the Late Carboniferous than at present, due to presumably higher O2 levels. Also, promotion of char formation is an effective way to create fire resistance (Nelson, 2001). This suggests that the high fusain (fossil charcoal) content of the Carboniferous coals could indicate an abundance of plants with increased fire resistance. In addition, the formation and burial of charcoal, which is resistant to biological oxidation, is a positive feedback mechanism for the enhancement of atmospheric O2 level (Berner et al., 2003). The reflectivity of charcoal is directly proportional to the temperature at which the charcoal formed (Scott, 2000). Jones and Chaloner (1991) have shown that the cell wall morphology of fusainized woods also reflects the temperature of formation. 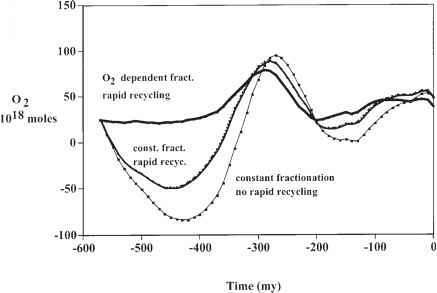 If fire temperature can be correlated with O2 level, then fusain reflectivity and/or cell wall morphology might be a guide to ancient atmospheric O2 concentration. However, many factors may affect fire temperature other than atmospheric O2 level, and, in fact, it is difficult to reconstruct fire regimes from the nature of charcoal even in modern sediments (Clark et al., 1997). More work on the properties of fossil charcoal is needed before anything more definitive can be stated concerning the usefulness of charcoal as a paleo-O2 indicator. Can low oxygen levels cause fires? Does forrest fires increase carbon burial? How is the oxygen cycle affected by fire? What happens when the forrest fires end and there is black carbon? Does forest fires increase carbon burial? How forest fires affect carbon cycle? What do forest fires do to our oxygen?